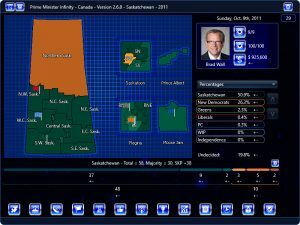 For Prime Minister Infinity – U.K.
With the US having closed the border due to fears of mad cow disease the cattle producers have had a disastorous Summer, the harvest has been mediocre and SPUDCO, a failed potato processing plant venture has cost $28 million in a province that’s already struggling economically. There’s a lack of education and 2/3 of the voters want a change. 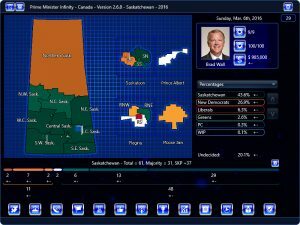 The province also faces its perennial problem of young people leaving and the lowest proportion of working age people in Canada. 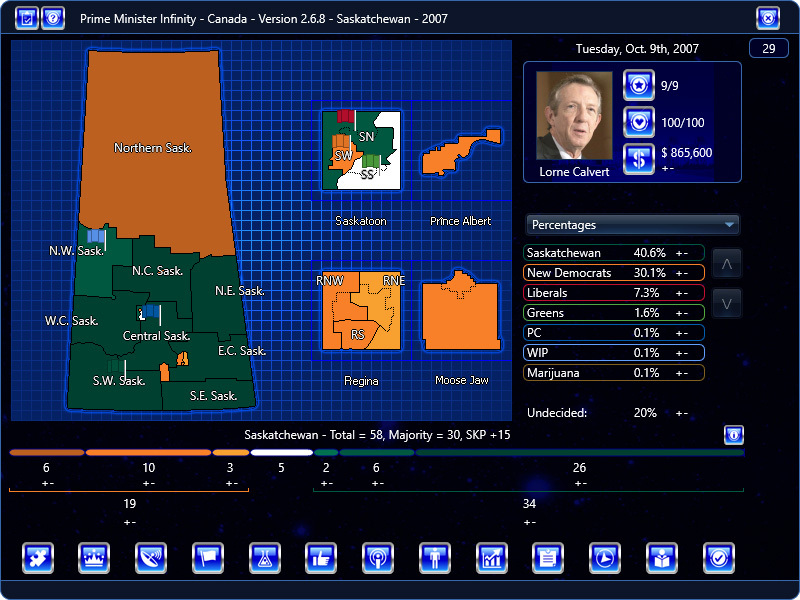 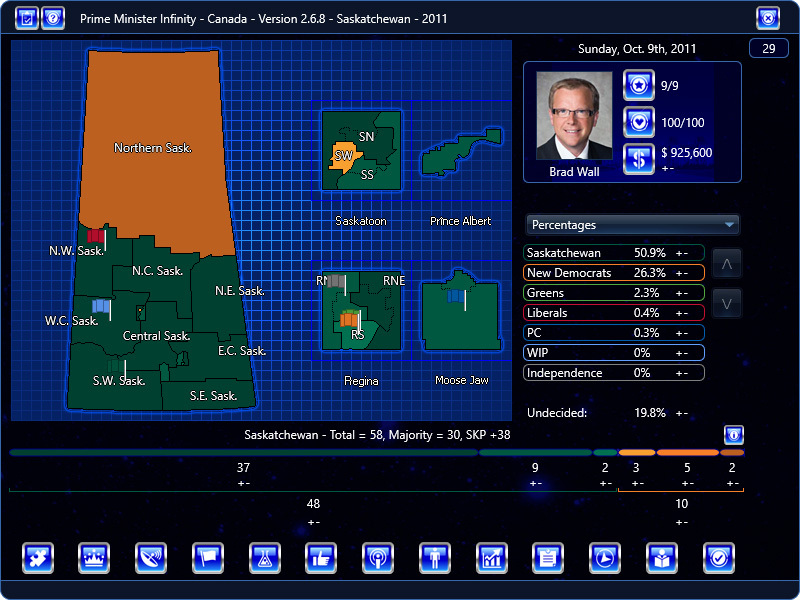 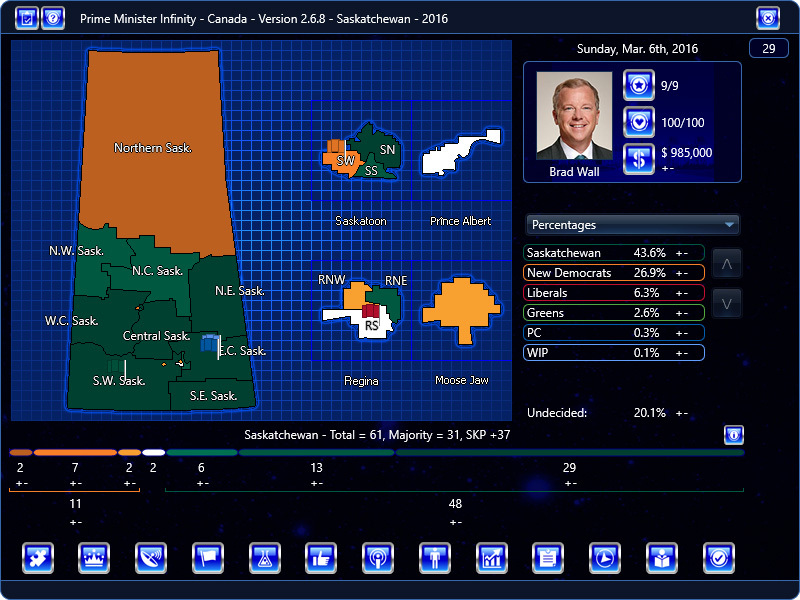 (A Sioraf as Na Cillini port of the Saskatchewan Decides – 2003 scenario by Chris Colbow).